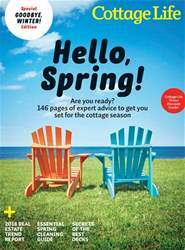 Digital Subscriptions > Cottage Life > SPRING 2018 > Finally! Safe, longlasting bug removal! Place a Cluster Buster Powder Trap® on your window, and almost immediately those pesky flies will be gone. Then leave it there for one year or more of maintenance-free, eco-friendly, 100% nontoxic fly removal.